and Jeff Marshall, 11 1/2. 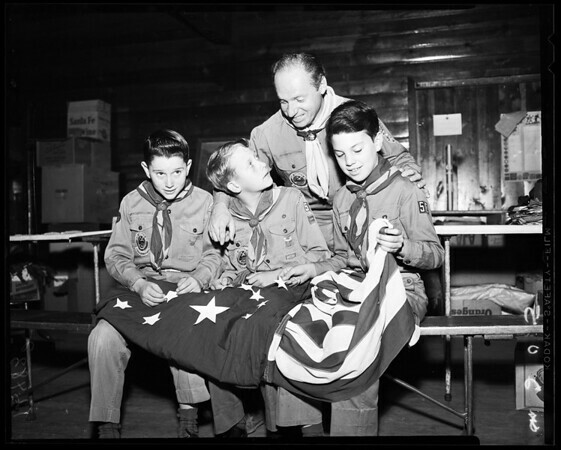 Scouts look over flag to be presented by Troop 58 to Alaska. No. 205-206: Harry Gunther, David Ferguson, Jeff Marshall, with Flag."